"Shampoo, Conditioner, Tea Tree Oil - Soaps, French Milled, Tea Tree Oil Toothpaste - From Life Plus"
TTO PURE GOLD HAND & BODY BAR- Pure Gold Hand and Body Bar Pure Gold Hand and Body Bar. You're bathing with 24 karat gold when you take our Gold Hand & Body Bar into the bath or shower with you. This exclusive, French-milled luxury bar is much more than just a soap. Pure Gold is tough on dirt and perspiration. Its clean, fresh scent makes it excellent for all members of the family, but the rich lather and wonderful citrus scent creates such a unique bathing experience that you might just want to keep it all to yourself.*. Does not contain Sodium Lauryl Sulfate or Sodium Laureth Sulfate. No Parabens or Harsh Preservatives. Massage shampoo into wet hair, working lather through to ends. Rinse thoroughly and repeat if desired. Gently apply conditioner and work through hair evenly. For regular hair, leave in for 2 minutes. For deep conditioning, leave in hair for 5 minutes. Rinse thoroughly. 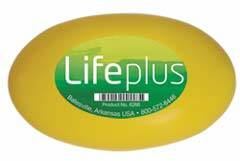 "All Life Plus products come with a thirty day money back guarantee. We STAND BEHIND THEM 100%"
Copyright © & Disclaimer 1995-2017 - JamesJean, USA. All Rights Reserved.- To Read Please Click Here!